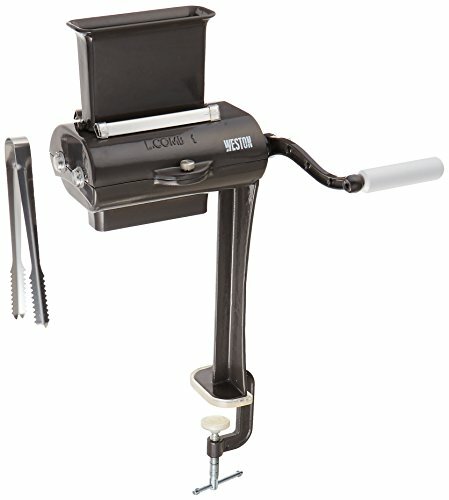 The Weston brand meat grinders - over 100 years of quality and tradition. The Porkert multi-stage tinning process is a closely guarded secret that has never been duplicated and carries a lifetime guarantee. 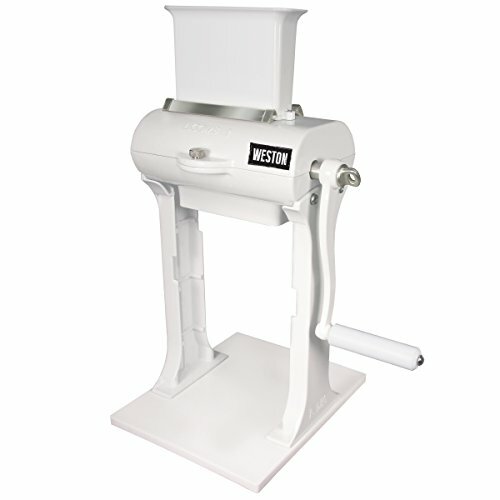 Weston's Number 8 Manual Food Grinder features fine and coarse grinding plates useful to make fresh ground meats and vegetables. Easy-turn handle and a sturdy suction cup base makes it easy to mount to any smooth surface. Includes food pusher for safe and easy use. 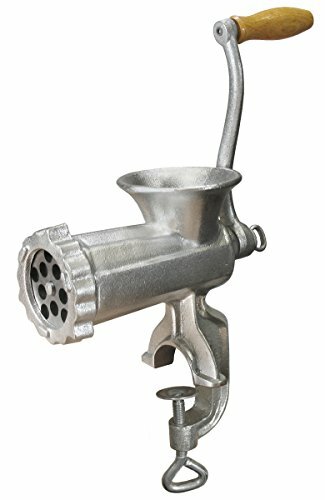 Weston #10 Manual Meat Grinder (Tinned)... Know what is going into your food! 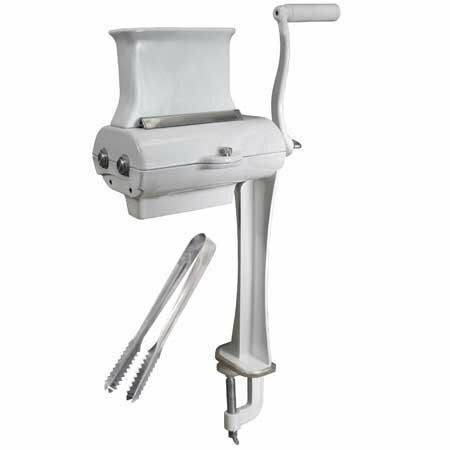 Creating your own sausage, ground meat, ham salad and more is easy with Weston?s Tinned Meat Grinders. 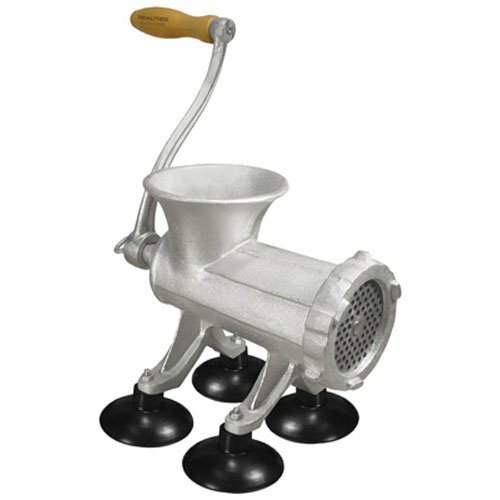 Food Safe Tin Coating; Durable Cranking Handle; Heavy-duty nylon bearing for long life; Secures to your table or countertop; Easy to clean and assemble; All Weston Tinned Meat Grinders include an 8-Piece Accessory Kit: 4.5mm Grinding Plate for medium grinding, 10mm Grinding Plate for coarse grinding, Grinding Knife, Set of three stuffing funnels: 20mm, 30mm and 40mm with easy attaching universal flange and stuffing star. 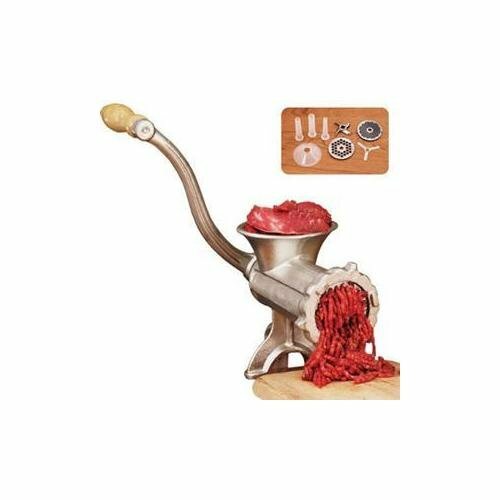 Manual Heavy Duty Meat Cuber Tenderizer has 31 Stainless steel blades tenderize even the toughest cuts of meat. The Stainless steel combs prevent jamming and disassembles for easy clean up. 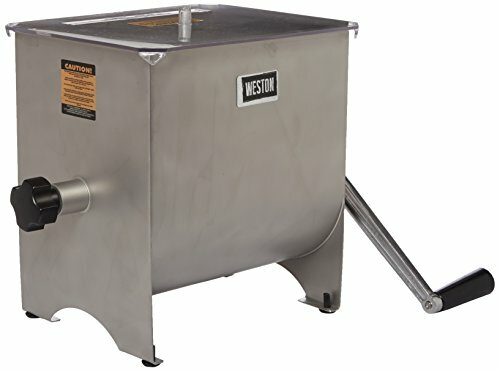 This Weston Products stainless steel meat mixer makes mixing ground meat easy. Put the seasonings, water and meat into the hopper and turn the handle. Mixes in just minutes. 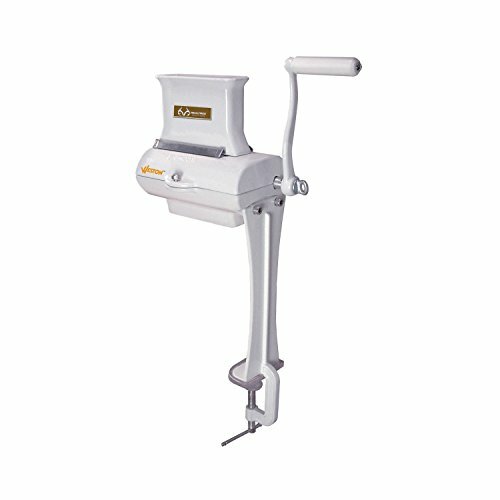 Hopper hold up to 20-pound of ground meat. Includes rubber feet to protect your counter top and clear plastic cover with spice slot. Removable paddles make clean-up easy. 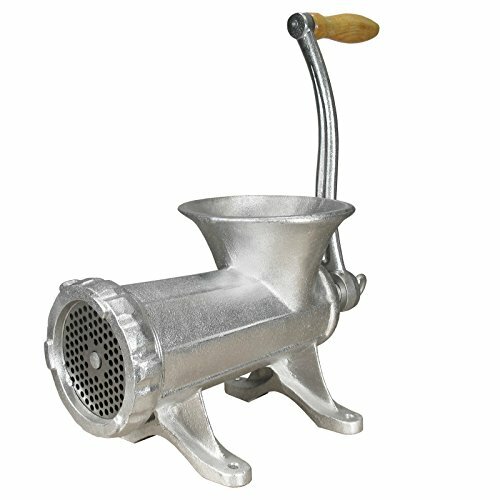 This is a manual crank mixer only and can't be connected to a meat grinder. 20-pound capacity. Measures 14-1/2-Inch by 14-1/2-Inch by 13-Inch. 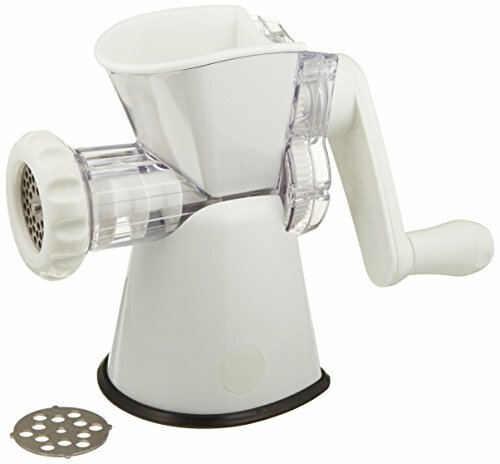 Compare prices on Weston Manual Meat Grinder at ShopPlanetUp.com – use promo codes and coupons for best offers and deals. We work hard to get you amazing deals and collect all available offers online and represent it in one place for the customers. Now our visitors can leverage benefits of big brands and heavy discounts available for that day and for famous brands.